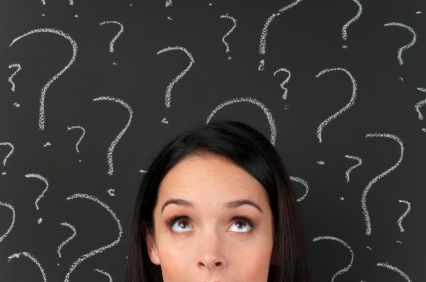 One of the most common questions about sublimation that we get asked is “what can I sublimate?”. It’s a common question because people either assume you can sublimate anything or they assume you can only sublimate items that are in some super secret special category to which not everyone has access. The truth is somewhere in the middle. Not every item is suitable for sublimation, as with most decoration disciplines, there are items that cannot be sublimated because of how they’re made, what they’re made of, or because they won’t fit properly into the heat presses or other heating methods available. On the other side of the coin, items suitable for sublimation are not some magically coated items that only a select few can use or buy. In reality, sublimation is really a fairly easy decoration discipline to enter and master. If you are thinking of starting a sublimation business or wondering what you can and can’t sublimate, here are a few pieces of information that should help you understand what you can sublimate and what may not be an ideal choice when it comes to sublimating a product. The first thing you need to know is that hard goods suitable for sublimation need to be poly coated. This means, as I said in my last post, that you can’t go to the dollar store and buy a mug and sublimate it. Yes, there are sprays that can be used to coat items for sublimation, and going that route may be a viable choice for some people. For most people, however, the easiest route is to buy sublimation blanks already coated. This will ensure that you get a quality blank with a smooth coating that is designed to stand up to the temperatures needed to get a good sublimated print. When it comes to sublimating fabric, 100% polyester fabric will always give you the best result. There are several t-shirt brands, among them Vapor Apparel, that make 100% polyester shirts that are comfortable to wear and have a nice feel. These shirts are designed especially for sublimation and come in an array of colors that are suitable for this decoration discipline. People often ask if it is possible to sublimate a polyester blend, and the answer to that question is yes, with a qualification. Yes, you an sublimate a poly blend but, because it is a blend, the sublimation ink will only dye the poly fibers. This results in a more distressed look for your print. Some people find this sort of look attractive and desirable. Others do not. If you want a full color print, your best bet is to start with a garment that is 100% polyester. This will always produce your best and most colorful result. Sublimation is actually fairly simple when you get right down to it. You need sublimation ink and sublimation paper and a blank suitable for sublimation. You need a heat source that can reach 400 degrees, either a heat press that can accommodate the blank you want to sublimate, or a wrap that can hold your transfer in place while the item is in an oven. Finally you need a blank that is suitable for sublimation and some graphic software to create the graphic you want to print. If you have all those things, you’re ready to sublimate. Note: It’s very rare that I post the same post on both blogs because the subject matter of the two blogs is so different. In this case, however, I made an exception. A heat press has so many uses across the spectrum it seemed a shame to not share the content in both places. Your selection of printer really depends on what size prints you want to make. If the biggest thing you’ll ever print will fit on an 8.5 x 14 sheet of paper, then you might do well with a Ricoh 3300. If you want to print 13 x 19 right out of the box, it might be wise to consider a Epson WF1100. If you want to print large images and think you will be doing quite a bit of production, your best choice might well be the Ricoh GX 7000. Different printers work best in different situations, so please be sure to take into account how much you want to print and the largest thing you might want to print when deciding which printer to buy. Sublimation ink is fairly simple – if you run a Windows system, you can purchase Sublijet ink for the Ricoh or the Epson printer of your choice. If you use a Mac, then you’re best off selecting Artainium ink, as Sawgrass supplies ICC profiles for that ink which work with Macs. Enmart does not currently list Artainium ink on our website, but we can get it for customers who request that we do so. When it comes to sublimation paper, EnMart recommends our Mpres Paper. We’ve tested many different kinds of paper over the years, and Mpres is the best we’ve found. Choosing sublimation blanks largely depends on what it is you want to sell. EnMart offers a wide selection of blanks for sublimation, everything from dog tags to mousepads, coffee mugs to jewelry boxes. We also carry Vapor Apparel t-shirts, which are very well suited for sublimation. EnMart also allows you to purchase just one of any item you might like to try, subject, of course, to our $25 minimum order. Finally, in order to sublimate, you need a heat press. EnMart’s parent company, Ensign Emblem has a long history with George Knight heat presses, and has known them to be durable and reliable. Since we’ve had such a good experience with these presses, Geo. Knight is the brand of press that EnMart sells. If you’re looking for a press, remember to take into account the largest thing you will every sublimate, as you want to make sure your press is able to handle it. Getting started with sublimation is not difficult, and EnMart is here to help make it even easier. If you have questions or concerns, we’ll be happy to help you, or to connect you with people who can. If you follow us on Facebook or Twitter (and if you don’t, you should), you may have seen that I’ve been talking about the new revamp of the heat press section on our website. We’ve separated out the different types of heat presses to help you be able to better find what you need. We’ve added some presses and accessories that weren’t previously on the site. We’ve also added some videos that will tell you more about individual presses, as well as more about how the presses are built. If you haven’t had a chance to preview the new set-up, here’s a little tour. First of all, instead of listing all the presses under one category, they are now divided into types. We have clamshell presses, which work well for flat goods, and swing-away presses which offer room for goods with more shape to them. Combo presses may be the perfect choice for the sublimator who wants to do a little bit of everything, and mug, cap and label presses are a great choice for those who want to concentrate on decorating one particular item. 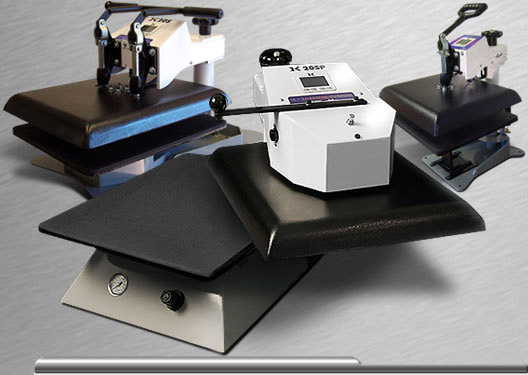 In the options and accessories category, we spotlight things like pyrometers, additional platens, stands, auto release pop-up options and other items that can help you customize your heat press. We also increased the variety of materials, like Teflon, we offer to help you protect the platens of your heat press and the items that you are pressing. We do sometimes get asked why we only sell one brand of heat presses, and the answer to that is pretty simple, we sell the brand we use. Our parent company, Ensign Emblem, has worked with other press manufacturers and used other presses, and we’ve found George Knight to be the most reliable when it comes to customer service and to the quality of the products they sell. We use Knight presses in our plants, and they have been workhorses that function well for us. We’re confident they will do the same for you, and that’s why we sell them. We also want to remind everyone that heat presses don’t necessarily have to be for sublimation or ChromaBlast printing. You can use them to press Ntrans transfers to anything that needs decoration. 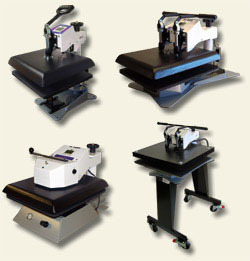 A heat press is also the perfect tool for heat sealing blank patches or sublimated patches to a garment. A sturdy, well made press has a variety of uses, and is a good investment for any shop.